There’s a lot of attention lately on the “opioid epidemic” in America. Opioids were involved in the deaths of more than 42,000 people in 2016. For perspective, car accidents killed about 37,500 and gun violence killed 38,000 in that same year, the most recent year numbers are available. For added perspective, alcohol use leads to 88,000 alcohol-related deaths every year! The “war on drugs” was originally declared by Richard Nixon. In the 1980’s we declared war on crack cocaine. 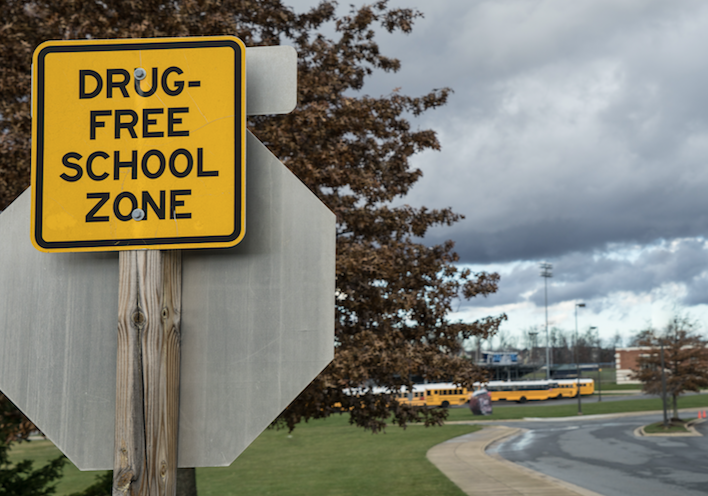 Methamphetamine is still destroying families and communities and marijuana use by teenagers has been linked to scholastic consequences. We are losing this war. I believe our focus on the drugs—declaring war on an inanimate object—is energy focused in the wrong direction. Even worse is that the solution to the opioid epidemic seems to be more opioids in form of methadone and buprenorphine! I want to be clear: I am not anti-MAT (medically assisted treatment). I do prefer total abstinence as the final goal. Suboxone (buprenorphine) could be a game changer for people detoxing or tapering off opioids to reduce withdrawal sickness. But many providers are now prescribing buprenorphine for the long term, in some cases 18 months to multiple years. This argument does not pass the smell test. First of all, an individual on heart or diabetes medication does not experience the same physical dependence as someone with substance use disorder. More importantly, they don’t experience problems in their relationships because of the use of those drugs. Yet more important: an individual on long term suboxone who decides to stop after years of prescribed use get very sick from withdrawal and often search for and overdose on street drugs. There are some other good medicines out there. Naltrexone, for example, is being used successfully to lessen physical cravings in early recovery. There is a downside, however. Drugs like naltrexone block the individual’s ability to feel the high of a drug like heroin. So when relapse happens, it often results in an overdose as the user chases the desired effect with higher and higher doses. This leads me to my pet peeve. Methadone. Methadone is, for lack of a better term, nuclear-powered heroin. It’s stronger than heroin, has a longer half-life and produces an even more intensely painful withdrawal. Because of the success of certain anti-craving medications, methadone is now being called “anti-craving.” Of course, if you give an opiate addict opioids they don’t have cravings! Methadone is being called the “gold standard” for opioid addiction treatment. Individuals in the methadone maintenance program are said to be in “medically assisted recovery because of less relapse, less overdoses and less crime. These things are true—and you would get the same results if they were given heroin at their clinic! To make it worse, researchers only considers it a relapse if the individual uses another opiate while in the methadone maintenance program. The use of cocaine, methamphetamine, alcohol, marijuana or any other substance is not considered a relapse. I want to be clear, there is a place for harm reduction. It works and serves society well. However, I will also say that most (though not all) of the individuals I have met on methadone are being cheated out of a productive and effective life by the ongoing addiction to methadone. I would also ask: If an individual is addicted to alcohol, would going to a clinic and being dosed with alcohol be called treatment? Recovery? Back to the “war on drugs.” If focusing on the drugs is misguided, where should we focus? Most people who are prescribed opioid medication for pain do not become addicts that doctor shop or end up on the street buying heroin. We need to focus on what is different for those patients versus the individuals who do end up in active addiction. Gabor Maté, a Canadian physician who runs several successful harm reduction clinics, says that 20 percent of Vietnam War veterans used heroin while in country. Only about 2 percent of those continued with their use and with their addiction when they got home. We need to understand that difference. Bessel van der Kolk, a pioneer psychiatrist in the realm of relational or developmental trauma from adverse experience, says that 300 soldiers can experience the same significant event and only 2 or 3 percent end up with a diagnosis for PTSD, haunted by that experience. He also makes clear that the soldiers who develop PTSD were “set up” for that during childhood. I believe that we win the so-called “war on drugs” by focusing our energy and attention on adverse childhood experiences as described in Kaiser Permanente’s research. We win the war by becoming resilient parents and teachers and coaches and raising resilient children. In fact, this solves myriad current problems in our society well beyond the need to use and abuse drugs. We help parents and spouses become more resilient. Please contact us at info@frre.net or schedule a consultation to see what we can do for you.